Tired of changing batteries? Then invest in a solar-powered keyboard from Logitech. It costs just $37.50, which is a huge drop from its usual $60 MSRP. Having to change batteries on a keyboard is something which no one should be doing in 2019. Sure, you can buy something that has a built-in cell, but even then you are required to plug in your keyboard to a cable whenever things run dry in the power department. 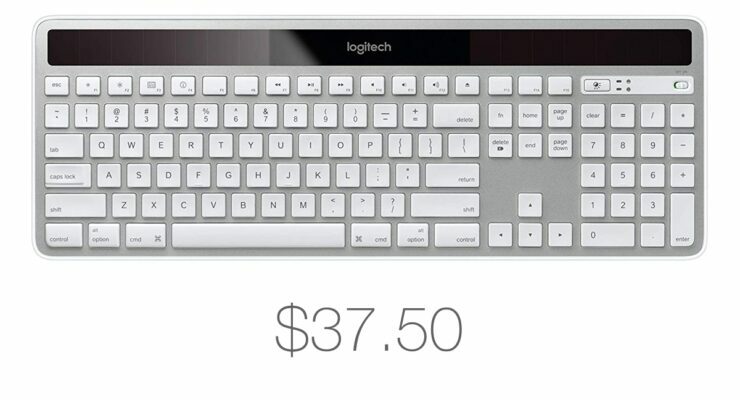 Take a look at the Logitech K750, for example. It’s a keyboard that has a built-in battery, but it charges using the power of light. But we’re not talking about sunlight here. Literally any light source will keep this keyboard topped up. Logitech suggests that if you have a full battery, you can run this keyboard for three months straight in complete darkness which is an absolute bonus. And since this keyboard is solar powered, this obviously means that it’s wireless too, and hence Bluetooth takes care of business completely for you. This is a Mac-friendly keyboard, which should bode well with those who have an iMac, Mac mini or even a MacBook setup with a display attached. Furthermore, this keyboard has a built-in num pad too, if that’s the thing you need in your life. If you’re interested, you can check out the keyboard at the link below. I personally believe it’s a great product to have if you wanted to get rid of the process of changing batteries over and over again.